Luke Shaw and Jose Mourinho don’t exactly share the most amicable relations in the game. The Portuguese gaffer has been particularly hard on the young left-back, and has changed his stance on the player’s future on numerous occasions. 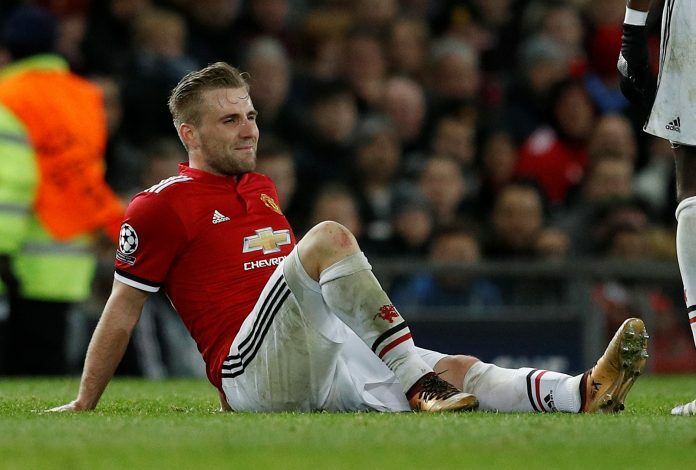 Apart from being sarcastic about his injury concerns, Mourinho has been sharp and vocal in putting down Shaw after what he attributed to be below-par performances. The most recent one arrived during United’s encounter against Brighton in the FA Cup, wherein the 22-year-old was substituted at half-time. Following the match, Mourinho expressed disappointment in Shaw’s performance, and cited that as the reason behind the substitution. Now, what the player himself felt about the situation has been revealed. Akin to his eventual response in the press conference later on, Mourinho expressed that his defending was not good enough, and that Brighton were allowed far too many chances on his flank. The argument was reportedly a heated one, with their raised voices being heard well beyond the home dressing-room. One does feel that Shaw’s response is accurate, as Mourinho has a long history of discontentment with the injury-prone starlet, who once arrived at Old Trafford as the then most expensive teenage signing. In fact, such was the nature of his tribulations under the former Chelsea boss, that only in this January did he get to play five back-to-back games for United since breaking his leg. And yet, in the few months since, the pair have sparred on at least two occasions. This encounter has already led to speculation over his potential exit, and has led a series of left-backs to get linked with United over the summer window.